I first learned about Sufix 832 Advanced Superline during one of my fishing video binge watching sessions. It was a Canadian fishing show (whose name escapes me now, sorry) talking about its benefits. I had never heard of the product before and, at the time, only recently got into using braided line. I went on to Amazon and ordered a spool and quickly realized just how good this line is. I had used Spiderwire in the past but after a few trips using Sufix 832 Advanced Superline, I understood it was the best braided fishing line on the market. You might be thinking, “Jeff, what are you talking about? 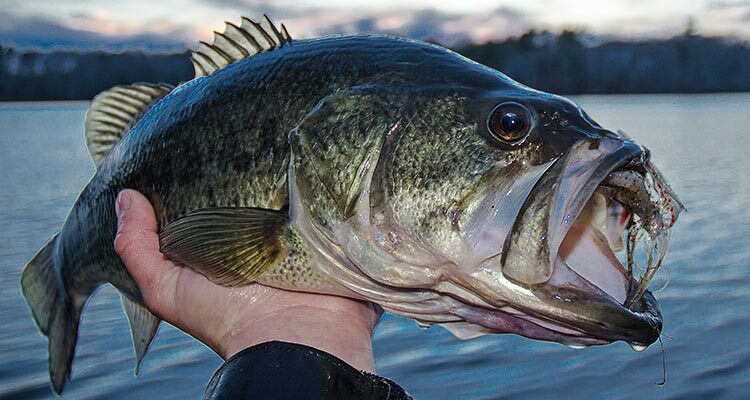 Not only are there a ton of different braided fishing line manufacturers out there, but there are a ton of differences between all the lines. Sufix 832 Advanced Superline happens to be, in my opinion, the best option out there for a few different reasons. Did you know the 832 number in the Sufix name actually represents characteristics about the line? The 8 represents 8 strands of fiber that make up the line. 7 HMPE Dyneema Fibers and 1 Gore Fiber, to be exact. It’s that 8 fiber construction that makes Sufix 832 incredibly resistant to abrasions. The 32 in Sufix 832 also represents how many weaves per inch the line has. Basically, the line is woven 32 times per inch, with 32 PICS, or times the fibers intersect with each other. Those tight weaves just add to the strength and smoothness of the line. Unlike any other braided line on the market, Sufix 832 Advanced Superline weaves one Gore Fiber into its line to improve its water repelling features. Gore is a hydrophobic fiber, which naturally repels water. This characteristic will protect the line from wearing down more easily after repeated use. This feature keeps your line on your spool longer, saving you money over time. Sufix 832 Advanced Superline is offered in six colors: Camo, Ghost, Hi-Vis Yellow, Lo-Vis Green, Neon Lime, and Coastal Camo. Most other braided lines are offered in a select few colors. And beyond that, the colors fade and wash away in the water. To combat those effects, Sufix uses TPG technology to improve bright color retention in their line. The colors will stay brighter and last longer than typical braided lines. A distinct advantage for Sufix 832 Advanced Superline. Test (lb.) Diameter (in.) Mono Test Equiv. I’ve been a big believer in this product for a couple years now. It’s not the cheapest braided fishing line on the market, but I trust it and stick with it for all the reasons mentioned above. I have had zero problems with it and I know you will be happy just as I am. 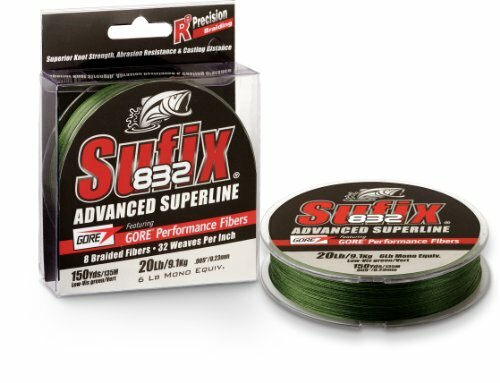 Take a look at Sufix 832 Advanced Superline when you’re ready to change out lines, or if you want to start using braided line for the first time. It’s a quality product that should enhance your fishing experience with each cast.